Purchasing and owning a home is not easy. While this is a great economic investment, it also comes with a great degree of responsibility. 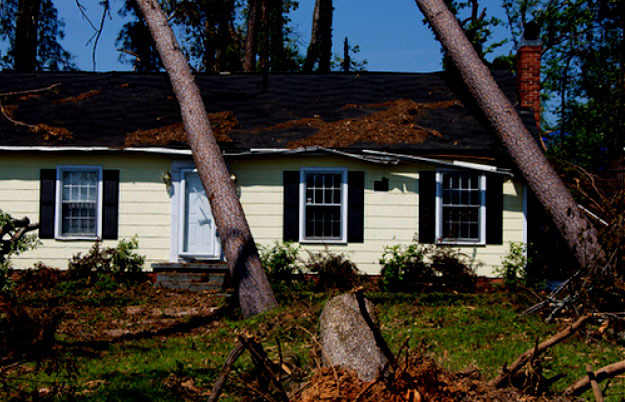 Part of this responsibility is to protect the home with a valuable home insurance policy. Some people might think, “the mortgage is already expensive enough. Why add the additional cost of a home insurance policy?” Well, there are several very important reasons why. The number one reason why people should invest in a home insurance policy is that it can protect against disasters. In addition to severe storms, there are also electrical fires and structural problems that could lead to significant home damage. Many families are not able to pay for these expenses out of pocket. This is where a home insurance plan can help. Unfortunately, theft is a part of society. Families could have valuable items in their home that they might not be able to replace if stolen. This could include jewelry, clothing, and electronics. With certain types of home insurance policies, loss due to theft might also be covered. This is where it becomes important to read the policy closely to know what is covered and what isn’t. Some lenders even require a homeowner to purchase insurance prior to signing off on the loan. This is because the lender wants to protect their investment in the home as well. If this is required by the lender, it might be helpful to meet with an agent to find the appropriate policy. Many individuals can benefit from third party motor insurance. This type of insurance covers the driver from a wide range of losses, like damage to another person’s property. Here’s what you need to know about this type of insurance. In third party motor insurance cover, the insurer provides protection for an the damage caused to others (third parties) by an individual’s property or actions thereof. 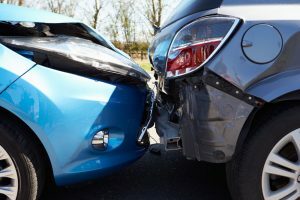 If you are sued or in any other situation held legally liable for the damage to another person’s belongings as a result of driving your car, the insurance covers the costs of damages to the other person’s property. For example, if you have this type of cover in place, and you damage another person’s car, the policy covers the damage to the other individual’s property. It does have some limits. For example, this type of cover does not protect your car if you were drunk or the driver does not have a valid driver’s license. Also, bodily injury is not covered under Botswana’s third party insurance policies because it is covered by the Motor Vehicle Accident Funds (MVA Fund). The costs of any of these situations can be very high. 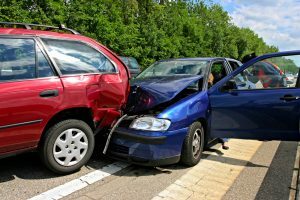 A single accident can create significant financial loss due to damage to the other party’s vehicle as well as your own vehicle. Most of the time, third party motor insurance coverage remains affordable, but it can provide significant financial protection if an accident occurs. Individuals should compare all of their options and choose a policy properly fitting to their needs. Third party motor insurance is often required under law in other countries while in Botswana it is not a pre requisite. However it is recommended that anyone driving or owning a car at minimum has third party insurance to cover their potential liability to the third party. When it comes to buying house insurance, you likely have numerous options to choose from and the goal of finding the least expensive policy you can. That in itself would be a big mistake. The right home insurance policy for you needs to address all of the risks your property faces and, perhaps most importantly, it needs to focus on providing you with peace of mind. What are the most common mistakes people make when buying house insurance? Underinsuring a home is a very common and very risky matter. If you do not have a high level of coverage in place, even if you have an active policy when a storm hits, you could be losing out. Do not take out just enough insurance to cover the amount of your mortgage. Most mortgages are only for 80 to 90 per cent of the property’s value, leaving you to foot that remaining 20 per cent yourself out-of-pocket for losses. A secondary risk that’s quite common is assuming you have flood insurance. The average home insurance policy does not cover floods. If you live near an area that may flood, such as a high-risk zone, you likely don’t have insurance if you only have a standard house insurance policy. However, should a flood occur, your home could sustain significant damage. What can you do? Purchase a rider or additional flood insurance policy that shores up any weakness in your current policy to minimise risks and costs. You could be missing out on key home insurance discounts if you have not asked for them. Many people do not realise just how many discount opportunities are available for items such as home security systems, installing deadbolt locks on the home, installing a monitored home security system, having a fence around your property, and even just living in a safe city. If you have yet to do so, request that your insurer take a closer look at the potential savings opportunities available to you and adjust your policy (or secure a new one) to keep your costs. Are you making these mistakes with home insurance? The good news is you can search for a new policy and secure a lower cost offering or update your existing policy for more affordability. Are Your Electronics Protected Through Property Insurance? The investment in household insurance is one of the best decisions you can make. Many times, people believe the biggest benefit from this type of property insurance is the protection it provides to the structure of your home. It does provide protection from fires and vandalism, of course. However, it also offers protection for many of the valuables you have within your home. As a new homeowner, it is important to remember what types of coverage you have and what it protects. Many homeowners invest in electronics especially if they’ve purchased their first home. From televisions to computer equipment, you may spend a significant amount of money right from the time you move in. Add to this your home’s appliances and other types of electronics or high valued items and you may be putting a lot of money into your new home. Your property insurance needs to protect all of that value. Before you agree to a property insurance policy, review it. Be sure that the amount of coverage selected (whether you select the basic policy or a higher level of coverage) needs to be enough to cover all of the contents of your home. Contents insurance will cover your home for a variety of factors. However, there is a limit to this level of protection. Your policy needs to cover the value of all electronics and other content in your home to be fully protected. Electronics are protected in most cases. Some insurance policies will specifically require a list of the types of equipment or electronics you have as well as information verifying their value, such as a receipt from the purchase of the item. Adding the items specifically to your policy can help to make sure you have protection to cover the value from an incident. This may include theft, vandalism, fires, flooding, and other risks covered by your property insurance. While you may not think about the value of each piece of clothing or furniture you have, it is important to consider the value of your electronics in comparison to the value of your property and contents insurance coverage. If necessary, it may be beneficial to add additional protection to your policy to safeguard these high valued items. Talk to your insurance agent about the right level of coverage for your specific needs in contents and property insurance.